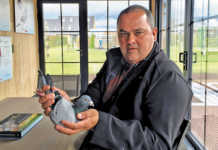 Never before in the history of South African pigeon racing have as many birds been lost in training as now. 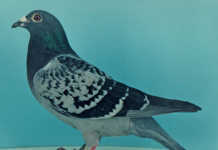 Since May this year, large numbers of racing pigeons have failed to return from training flights and race events. Gauteng and the Free State pigeons appear to be the most affected. In the past, a number of lost pigeons would return after a few days – but this season, once they were gone, they were gone forever. Many fanciers were forced to tackle the 2006 racing season with up to 50% (between 40 and 60) of their birds missing. There are several theories about why birds disappear. Some people believe that sunspots affect the earth’s magnetic field. Sunspots are cooler patches on the surface of the sun. 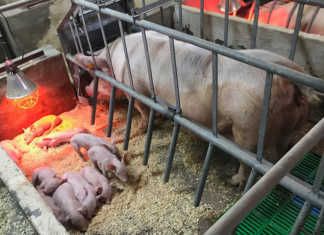 On average, they are as large as the earth, so it is not difficult to imagine that they could have an influence on this planet. Differences in the amount of energy given off by the sun have significant impacts on the earth, such as high-energy solar particles damaging microchips and corrupting software commands in satellite-borne computers. It is possible that solar activity affects the pigeons’ navigation systems too. A simple lack of sun visibility may also be a reason why birds do not return home. For most of May and June this year, we did not have consistent daily sunlight over Gauteng, and inexperienced pigeons do not orientate well in overcast conditions. Geomagnetic storms can cause atmospheric disturbances that affect communication and navigation technology. It is also speculated that birds’ homing instinct or ability to navigate is based on magnetism. According to this theory, birds have an internal system that “reads” the earth’s magnetic field. Birds orient themselves in a familiar area by learning the magnetic field of that area. When taken into alien magnetic terrain, the pigeon navigates back home by recognising minute differences in the earth’s magnetic field. However, magnetite in the birds’ nerve cells may be negatively affected by changes in the magnetic field or during geomagnetic storms. In years when the earth’s magnetic field has been relatively inactive, fewer losses of racing birds were reported. With its dense population and high degree of industrialisation, Gauteng has many hundreds of kilometres of electric pylons. Geomagnetic disturbances in the vicinity of electric conductors have a known negative effect on the birds’ ability to orientate. Many trainers all over the country release birds for road training at highway turnoffs near these electric lines. 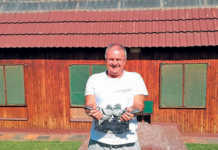 So why is it that so many birds are disappearing in Gauteng, while Capetonian pigeon fanciers are experiencing only normal losses? Is it possible that the magnetite in the nerve cells can somehow become diminished in some birds over time?